It's time for another Wedding Workspaces, and today, we're sharing our sixth installment with another fab local wedding pro in Newport News! 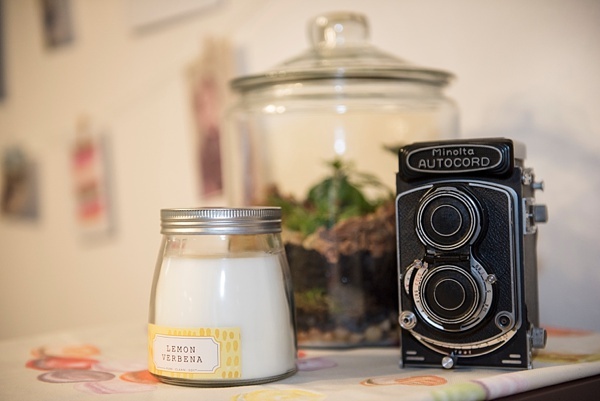 And this month, we have wedding photographer and vendor fam Meredith Ryncarz of Memories by Mere Photography and her practical working mom home office. With thoughtful vintage and kid-friendly details, this lovely photographer shows a real glance at what wearing two hats in the wedding world looks likes. I wanted to create a functional but pretty space. I was inspired by one of the images I shot a few years back with a pink tulle dress, bicycle, ranunculus, and antique Jane Austen novel. This image was part of the inspiration for me when I rebranded and has many of the colors I currently use in my logo. The image just embodies a lot of the things that I love: British Lit (especially Austen), ranunculuses, and pink tulle skirts. 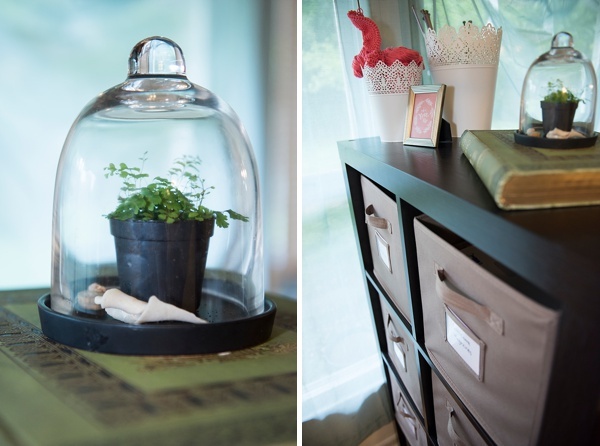 I love my terrariums... I am obsessed with how fun they are to make. 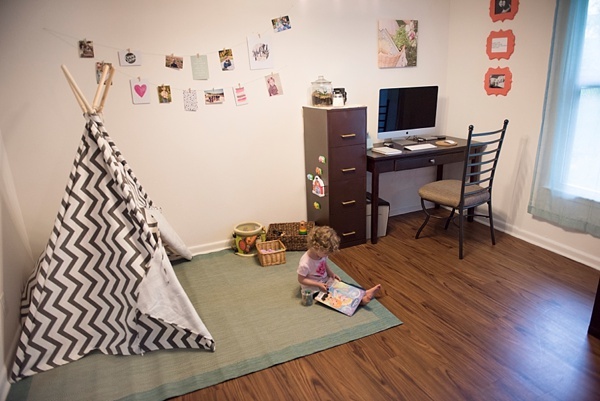 I also love the teepee that creates a private play space for my kids when I am working. Because I adore French macarons, I purchased a vintage set of napkins with macarons on them from the Vintage Rabbit in Williamsburg. I did the entire office myself. The filing cabinet was a scratched and dinged up putty color. I spray painted it to hide the wear and tear of tens years of moving and redid the handles. 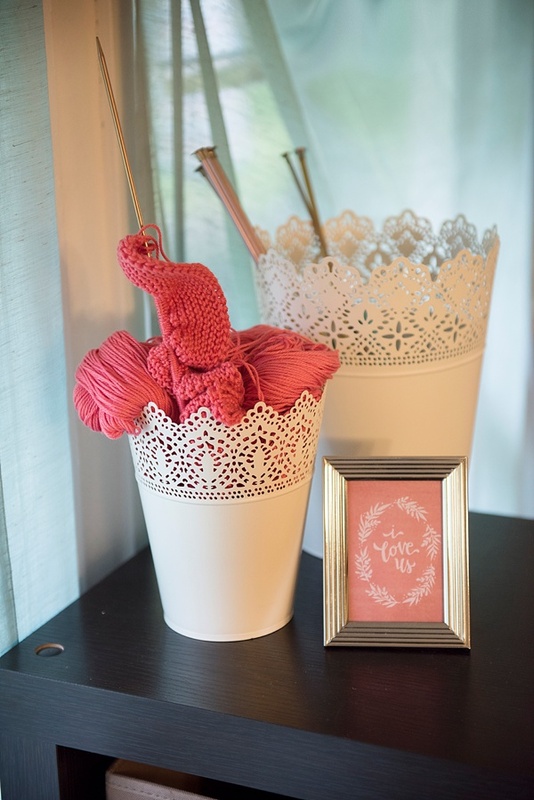 The coral frames were also painted to go with the colors in the room and hold photos I took of our newborn daughter and of my husband and me after he came home from a deployment a few years ago. Between them, I have a quote given to me by Abbey Kyhl at one of her workshops. It says "I made goals and then I made choices that matched those goals." It is a daily reminder to me of why I get behind my camera each and every day to capture the start of a new family and a new story unfolding with each new engagement and wedding. The green and gold-gilded art book that the terrarium sits on was my great grandfather's and was passed down to me. I love the sense of heritage it reminds me of whenever I see it. The lemon Verbena candle is my all time favorite scent, so the past few years, I have been hoarding them from Target. You can get to know Meredith and her wedding biz happenings on Facebook and everyday captures on Instagram.